Today I wanted to share my thoughts on the Foreo LUNA Play Plus Facial Cleansing Brush. I've talked about skincare before on the blog but this is the first mention of any sort of skincare device. 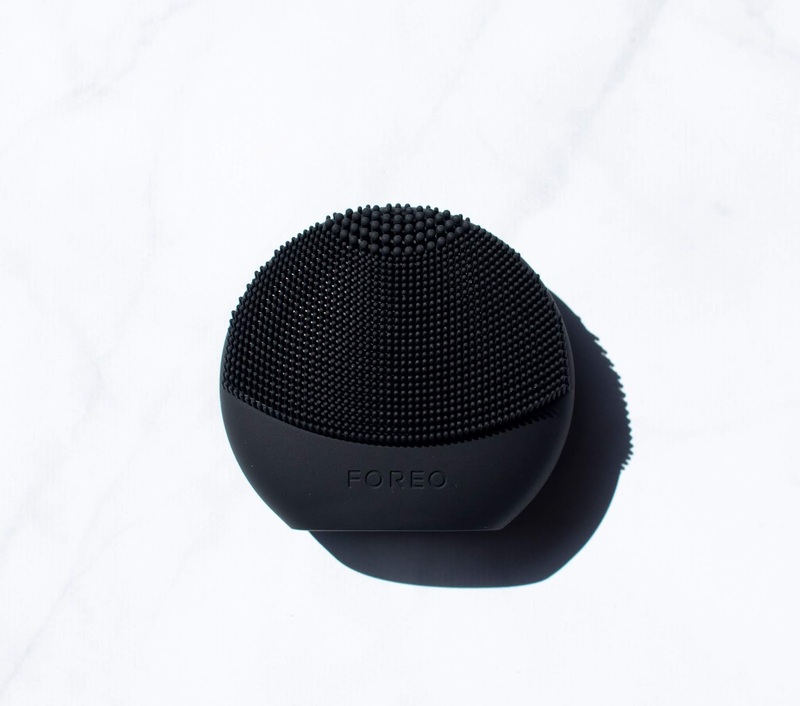 I first heard about Foreo when they launched their LUNA cleansing brush, especially since it seemed like a great alternative to the Clarisonic facial cleansing brush (which was dominating the skincare device scene). The Foreo LUNA intrigued me because it didn't deal with a brush/bristles but with silicone points instead. Of course, the price was too much for me to afford on a graduate student budget so I admired from afar. Later on they launched the LUNA Play, a mini version of the full size but I was not interested in a device that only had 100 uses for $39.00. Finally, they launched their Luna Play Plus which is a miniaturized version of their full size LUNA cleansing brushes and a better version of the LUNA Play. Combine it with the ULTA 20% off sale and I picked up the Luna Play Plus. Click through to read my thoughts and whether this facial cleansing brush is right for you! Where to Purchase: The LUNA Play Plus is $49.00 and is available at Foreo, Nordstom, and ULTA. How to Use: There's an on/off button on the back. On the bottom of the device is the battery cover that you unscrew when you need to replace the battery. I've been using this once or twice a day (mostly twice a day) for over a month now and I noticed an improvement in my skin texture with it feeling softer/smoother and a reduction in clogged pores/congestion around my nose. I would avoid using this over active acne as that can be quite irritating. It works excellently for cleansing my skin. This provides a gentle physical exfoliation over time and would be excellent way to supplement your chemical exfoliation but I wouldn't rely on this being your main means of exfoliation. I appreciate that I don't have to worry about replacing any brush heads so it's more cost-effective and less wasteful. The silicone is quick drying and not porous so it helps resist bacteria build up. I was worried about the shape but the silicone nubs manage to fit into crevices like around my nose well. It's described as tiny but mighty and I have to agree. It's extremely travel-friendly due to its size and waterproof so you can use it in the shower but I prefer to use it at the sink to avoid wasting water. You do have to avoid using clay, silicone, or grainy cleanser with the Foreo otherwise you can damage the silicone. I use it with the Glossier Milky Jelly Cleanser and have had no problems with it. The only con I have is that there isn't a timer in the device so you do have to keep track of how long a minute is. They do recommend not using it for longer than three minutes but you'll still have to keep time. If you're looking for a new facial cleansing device, I would highly recommend the Luna Play Plus. It may be small but it's a good introduction to skincare devices at a reasonable price compared to other brands! Do you use any facial cleansing brushes? What's your favorite? Disclaimer: I purchased this myself. All opinions are my own. This post contains affiliate links, which provide me with a commission based on your use of the link when making a purchase. I was not compensated for this post. Interesting colors! I think light brown would work really well for me. I'd love to try the smudge brush! I'd love to go to The Makeup Show. I've been to IMATS several times but I think that Makeup Show is better for a blogger. I've never used a product like this on my brows. My brow game needs help, haha. I haven't tried that NARS corrector, but everyone seems to like it. Your lips are perfect. I like Enzyme best but you're right that it's not the best for you. I own a bunch of loose shadows.. but you're right, I don't use them often because I don't know what I'm doing! Most often, I use ELF Mist and Set or their mixing medium. This is a great post! I'm definitely going to experiment more with a black base after seeing these swatches! I have a similar electronic foot file and cannot live without it! Don't care or staining - but those liners look nicely pigmented! How exciting that you met Sam and Nic! The Bold Metals brushes look awesome. They are definitely on my wishlist, especially the Pointed Crease Brush. I would never actually wear it, but the white is pretty awesome! I love Coralation and Enzyme! What a great way to add some dazzle to your usual palette. I think it's so worth the $60 price tag! That looks stunning over black and I LOVE the name! WOW that really does look like turquoise! Excellent job! Few of us need a Kardashian contour, but a little shading and highlight can help us make the best of our features. This looks like a great little palette to play with! What a great palette! I've never heard of this brand before, but it looks good to me! I need this so bad. My nails got major damage from Shellac rounds. lots and lots of cuticle oil and cuticle butter. Moisturized nails grow so much better! The lightest shade would be perfect for me! I love Batalash (particularly Samantha!). I'd buy this just because it's a collab with her. It's a bonus the shades are so pretty! Oh I really like Anita. That's a great shade. I love charmed! Both of these would be so gorgeous for Spring/Summer!! I don't think any foileds live in my collection yet! AGH! They put together a great array of colors in this palette. OMG it loops behind the ears? Genius! I haven't tried a mask yet. I had gotten one with an ingredient from snails and I couldn't bring myself to try it. GORGEOUS!!!! One of my favorite Color Club shades! Whenever I get the chance to go to San Francisco, I always make a point of stopping into Daiso and looking at the cheap, exotic stuff. Wish we had them here in the Boston area. BTW, I still haven't tried a sheet mask. In fact, I've had a box of them from Hada Labo Tokyo for several months that I still haven't tried. I LOVE wand eyeshadow! Forever and a day ago I used to have one from Mark (avon) and it was the prettiest lilac metallic. I wore it EVERYWHERE! mostly because it was so convenient and easy to apply! Big Bang Theory is the perfect Fall shade! These are just breathtakingly gorgeous! I am so impressed! That's what I use :) Love them! I've been wanting to try SauceBox, and was thinking about the Etude palette, but this one looks like more fun! Have you tried the Lush Cuticle Butter? The texture sounds similar and I wonder how this compares. That coral is stunning- not many corals stain so that's kid of nice actually! Thanks for sharing your DIY cuticle oil! These are sooo stunning and you've got some really unique shades there! I personally would never wear greens or blues unless i'm going to an event or for a special occasion but I love that seafoam green and the bright blue shade! I tried it long ago but I remember I didn't like the scent. It was an odd lemony scent, I much prefer the Nail Butter lemongrass scent (once it's been calmed down). I also think the Lush Cuticle Butter might be a bit thicker in consistency. I'm still searching for a decent illuminator. I hope you do an EOTD with it. It looks like a lot of fun. I have a Lorac luster... but I've never used it. Maybe you can give me some ideas! lol. Love this! I have a few tubes that I will decant because I'm on a low-buy anyway and cannot justify the RTW, thanks for all the awesome math! I wish I was more patient, I can't be bothered. That's a sin for a beauty blogger! Those Darling Girl Cosmetics cream shadows look SO gorgeous! I'm a big fan of these - I haven't tried the foot file, but I ordered a few of the regular sized files from them before. Having real crystal - and not powder coated - files is the key! I pretty much always wear primer. Their Illuminating primer is my fave of all! those really enhance your lips for a 'mlbb' look, especially Glamour Queen. It's nice that they're hydrating and not sticky - perfect for a 'balm' type of day. I've tried that technique and failed, miserably. Looks great on your long nails, though! I'm intrigued by the cream to powder formula! This color is super pretty looking too. i'm still testing this but so far so good! What about trying something like an illuminating primer to help add a glow too? I'm still waiting for these to arrive but I got a shipping notice today. Looking forward to playing with them. Very pretty, never heard of the brand! OMG, it's been forever. Hi, Mai! Hi Sylvia! Given that no one nominated Bumblesoaps for any of the categories, they were not included in the final voting. Their exclusion is not reflective of the quality of the series. I got one of those glass files too, and it seems a lot gentler at filing the nails. I think they're both lovely. I have Lumiere and I do think it is similar to Anna. I use the cover drops in the mattifying acne primer and it has a made a WORLD of difference in my face. Now that I'm using this combination with skincare that's working, I'm sure that every other foundation and primer I've used have broken me out, haha. I'm now a coverfx girl for life! Congrats on 1,000,000 views! Wow!!! Your swatches make me want Seductive and Play Date. I have Mont Bleu glass files and they are amazing. The ones from their website make stunning gifts since they have so many designs with crystals. I'm a huge fan of glass files!!! Great review. That primer is what I'm most interested in! That's really cool! My problem is, I'd buy them and then forget to use them and still go for all my disposable ones. Mai, this is precisely the review I've been looking for. Thank you! 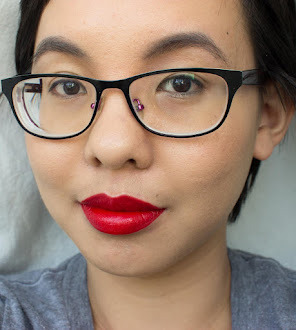 I have a dream to collect all of the Audacious lippies some day, the formula is just top notch, but the price bites :) They're worth every penny though! So many beautiful shades! KB Shimmer was my first indie polish and I still love them. These are all so pretty, KBShimmer is my favorite indie nail polish brand. I prefer synthetic only because it is one area I can totally avoid using anything from an animal. Oooh Medium Brown looks like the one for me too. These look great! I love that more brands are going this route! These look awesome! I want to try out the brow products. My nails can definitely use this! They've been so bad lately. Oh, I love giving my nails some much-needed moisture! My cuticles in particular get very chapped. Thanks for doing these swatches. Very helpful! Love the sparkles and the names! Exorcism, nightmare, jinx. Hi Honey, this actually is an OCC lip tar that I applied with a brush and since it's a liquidy product, that's probably why it looks super neat. I could post a video of myself applying the lip tar but honestly I think it's the product and brush itself that lends it so much crispness! love the glosses they seem so thick and pigmented! I have a cooler/pink undertone, so these might not be fore me, but I've heard great things about their applicator sponge that make me want to try it. Maybe they'll come out with a few more colors that compliment us pale pink folk. They are both gorgeous, but Anita speaks to me more. I've picked up a few of these but haven't tried them yet. I'll have to find a brush that works. I just can't handle using my fingers to apply makeup. I'm loving Enigma and Cinnamon. This is very pretty. I can't see myself pulling it off on my short nails. That's awesome that this worked! 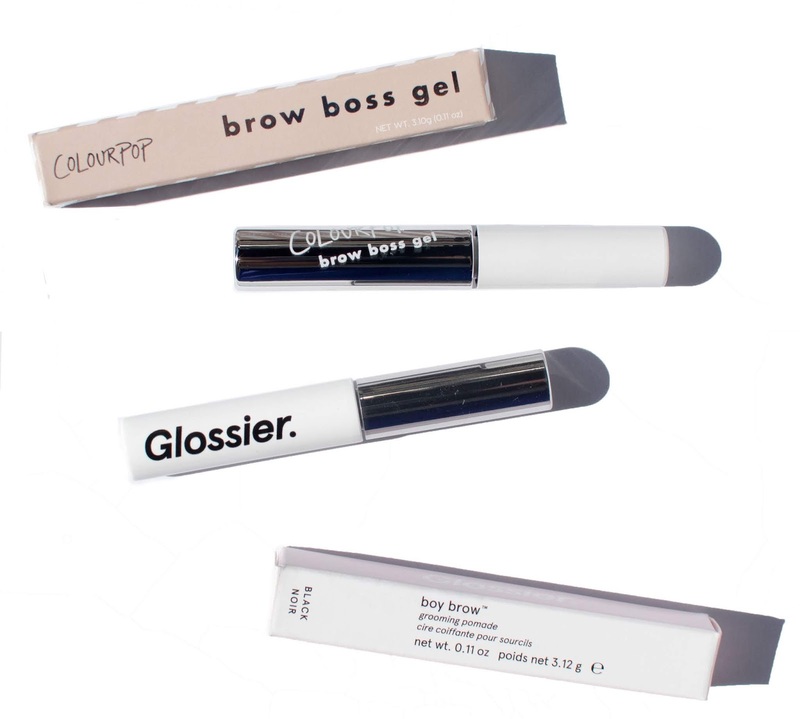 I am not using anything at the moment but when I do I use a brow gel.